I started playing the guitar at the age of 13 when I saw an older boy playing and wanted to be able to make music myself. So I saved up my pocket money, went off to a music store, and bought the cheapest guitar there. It was a terrible instrument that sounded like strings stretched over a tin can, but I loved it. I figured out how to play three chords, but then a kindly adult explained that my guitar was totally out of tune and that I needed to learn to tune it. So I started again and quickly mastered most of the basic chords and strum techniques. In my late teens, I started a rock band with some school friends and played lead on a powder blue Hoffner solid-body guitar. At the age of thirty, the same year I became a follower of Jesus Christ, I decided to learn classical, bought a suitable instrument, and enrolled for lessons. Within a few years I was quite proficient and enjoyed playing – I even composed my own pieces and performed occasional recitals at church functions. However, the church’s need at that time was for a worship leader, not a classical musician, and so I bought an Ovation guitar and from then on focused on rhythm accompaniment. From the age of about 50 arthritis struck both hands and playing became increasingly difficult. But I still loved music and often listened to records (remember them) featuring great guitarists, classical and other types of music. Our local church now had the joyful service of some very competent musicians and worship leaders, and so my Ovation joined the YaIri classical guitar to collect dust in the cupboard. About four years ago one of our musicians set up a workshop for beginners. She offered drum, piano, and guitar lessons and asked me to run the guitar workshop. Half way through the first session my hands were so painful that I put the guitar down; “I am so sorry folks but I just can’t go on; I am in too much pain”. I drove home that evening in deep distress; I felt as though something precious had been taken from me or like I had lost a limb. Something very sad happened that night. Music died in my soul. It was probably a coping mechanism, but from that night on I blotted music from my life. I no longer played, or listed to music. I sang in church, but that was all. Christmas time a year ago all our worship leaders were away and most of the other musicians were also on holiday. There was nobody to lead the church services; what could we do? I prayed earnestly and felt the Holy Spirit urging me to rise to the challenge and lead the worship myself. So I prayed; “Lord, if this is what you want me to do then you will need to do something miraculous to my hands and musical memory.” I have to tell you that for a few years I had been taking vitamin and mineral supplements and, although still uncomfortable, my hands were no longer constantly painful. I took my Ovation out of the cupboard, cleaned it up, re-tuned it… and started to play. Of course, my left-hand fingertips were tender because I had not played for such a long time, but I could shape the chords and I could strum quite adequately. I was amazed and so very grateful! 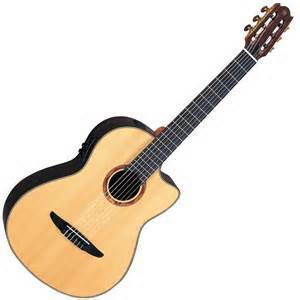 One of my retirement projects is to become skilled once again on the classical guitar and also the piano. I started practising a couple of months ago and am making good progress. In fact, I am so encouraged that I am in the process of acquiring a quality classical guitar so I can retire the old YaIri and move on to a new musical level. I have unearthed my old classical scores and the tunes I composed 35 years ago… and I am greatly enjoying playing! What was once dead has come alive again! Isn’t that just what God loves to do? Oh yes Pastor Chris, we serve a miracle working God, as it is now 15+ years since my surviving Prostrate Cancer and all the after effects, He has kept His Word: “Three score years and Ten, and more if we are able to continue”, and I will be 74 on Jan 20th, “Praise The Lord”, for He is worthy of all our praise. I am so happy for you! Long may the Lord’s journey of rediscovery continue in your life. I look forward to hearing you play in our worship. Awesome, bring on the music! I echo Kerry’s words but fear I might never hear you play again. I am sure you will love the Yamaha. They make exceptional instruments. Mine is 16 years old and still going strong! Too easily we let the music and the talents that God has given us die! I am thrilled that you are taking up your music again. I can’t wait to hear you play.